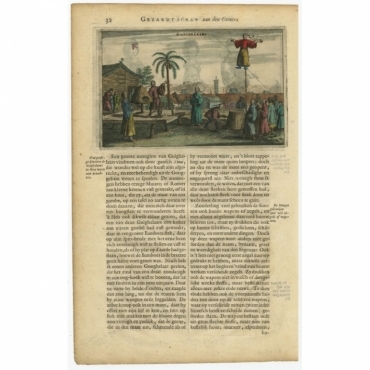 Shop your antique print in our online store. 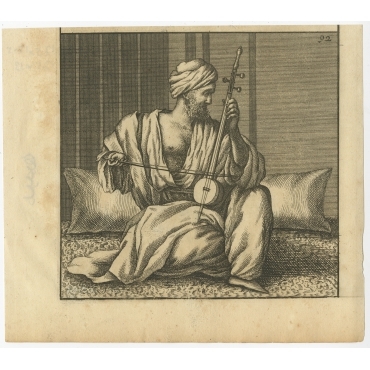 Bartele Gallery offers original, old prints of music and (music) instruments. 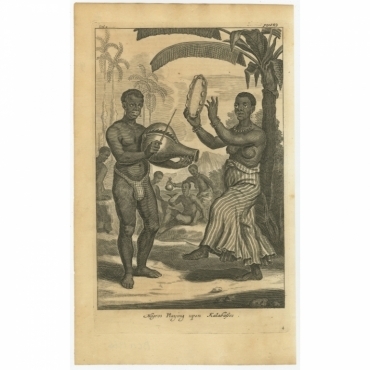 Our collection includes prints of trumpets, flutes, drums and other music instruments. Koop uw antieke prent in onze onze online winkel. Bartele Gallery heeft originele, oude prenten van muziek en (muziek-)instrumenten. In onze collectie vindt u prenten van trompetten, fluiten, trommels en andere muziekinstrumenten. 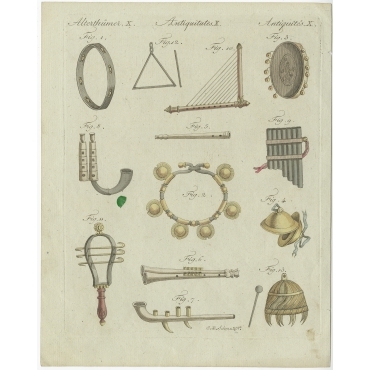 Antique Prints | Music & Instruments There are 22 products. 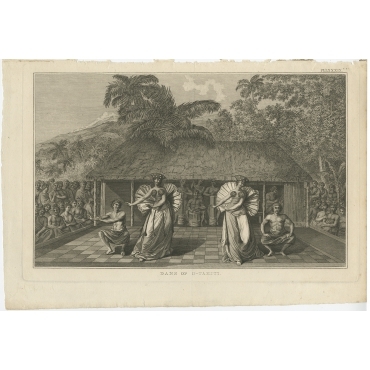 Plate I p.154: (A native playing the flute in Batavia / Djakarta on Java, Indonesia.). 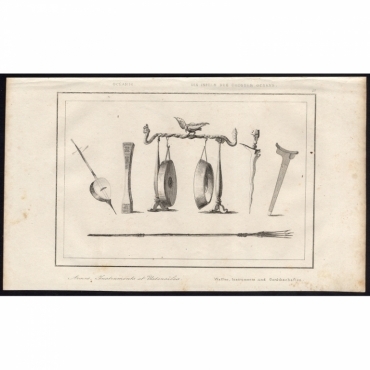 Antique print, titled: 'Armes, Instruments et Ustensiles - 15, Oceanie', Weapons, musical instruments and utensils: a trident, a kris with sheath, gongs and a string instrument. Location: non specified Oceania. 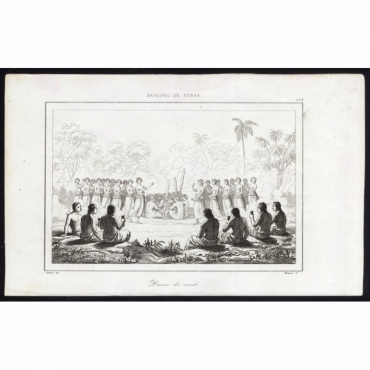 Antique print, titled: 'Danse de Nuit - 202, Archipel de Tonga', A Night Dance on Tonga, with several men with torches seated around a dancing group of women surrounding a circle beating a rhythm on the ground with large sticks. 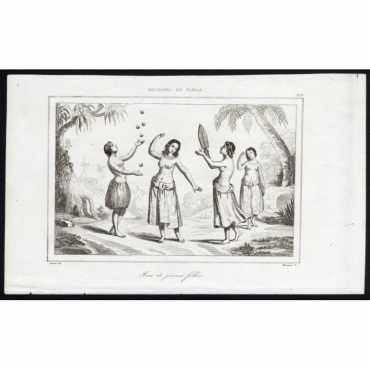 Antique print, titled: 'Jeux de jeunes filles - 203, Archipel de Tonga', Four young women, one dancing, another juggling, the two others also revelling. Indigenous people of Tonga. 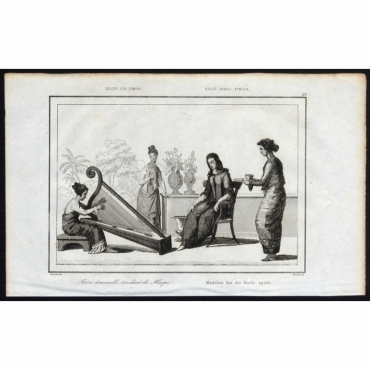 Antique print, titled: 'Jeune Demoiselle touchant la Harpe - 46, Dilly, ile Timor', A young woman plays harp for three other women. Plate: 'Calaminhans eer pracht.' (Calaminhan honour luster.) On this plate: 1. Kings servants. 2. Music players and dancers. 3. Golden bed. 4. the Calaminhan / Kalaminhan, 5, his wives. 6. Silver arcades. 8. Kings court tower. Very rare. Antique print, untitled. A procession in the streets of a Japanese village. A large gong is repeatedly beaten by a servant, thus calling the people out of their houses to hear an announcement being read to them. 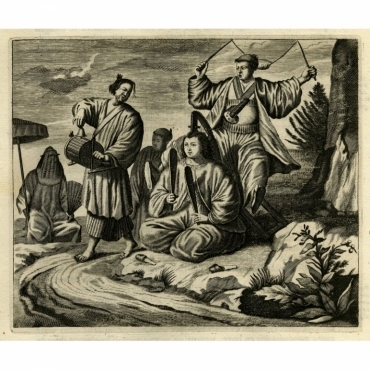 Antique print, titled: 'Japansche kamerspeelders.' - ('Japanese musicians'). Four chamber musicians are playing on native instruments outside. Antique print, titled: 'Book 2. Part 2. Chap 7.' 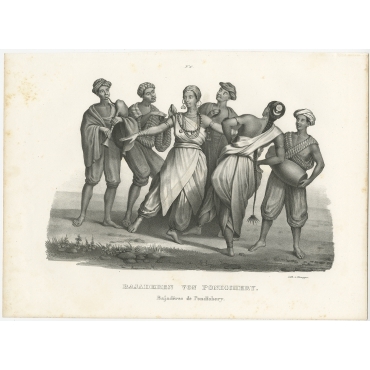 - This original antique plate shows a group of people playing music on various instruments. 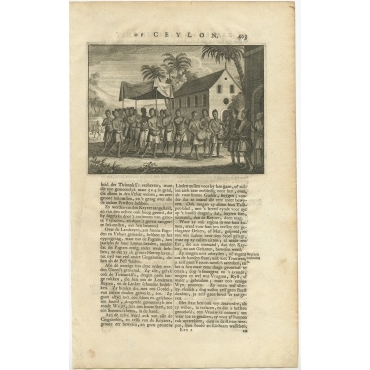 Antique print, titled: 'Book 1. Part 8. Chap 15.' 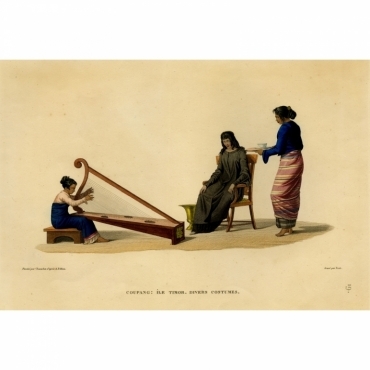 - This original antique plate shows a group of people making music, one is playing the organ. 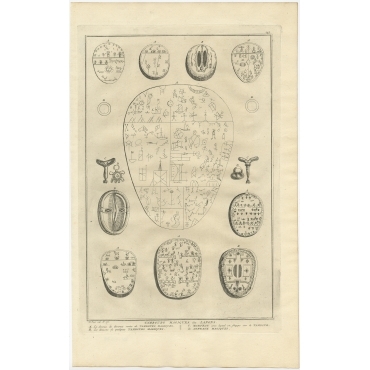 Antique print, titled: 'Googhelaars.' 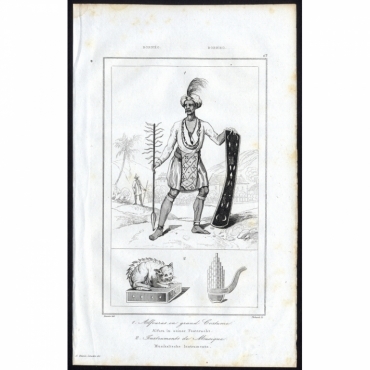 - This original antique print shows Chinese magicians. With a pagoda in the background. 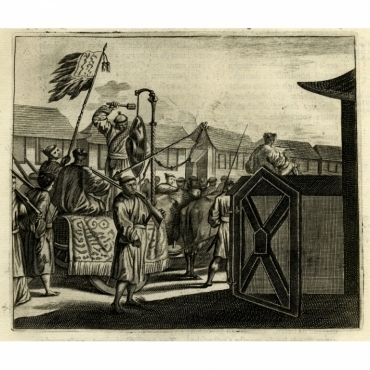 On verso another (uncoloured) engraving showing Chinese actors.